On 13 December, the Third Sunday of Advent, I have the joy of opening two Holy Doors to mark the beginning of the Jubilee Year of Mercy in the Archdiocese of Armagh. In doing this, I am following the example of Pope Francis who opens the Holy Door of Mercy at St Peter's Basilica, Rome on 8 December - the fiftieth anniversary of the closing of the Second Vatican Council. Our Holy Doors will be at St Patrick's Cathedral, Armagh and at St Peter's Church, Drogheda, home to the National Shrine to St Oliver Plunkett. The Holy Doors will be sealed again on 13 November 2016, one week before the close of the Holy Year. In this Pastoral Letter I extend a two-fold invitation to all of you and your families: firstly, to come on pilgrimage to the Holy Doors at Armagh and Drogheda; and secondly, to enter fully with your families and parishes into the spirit of the Jubilee Year. 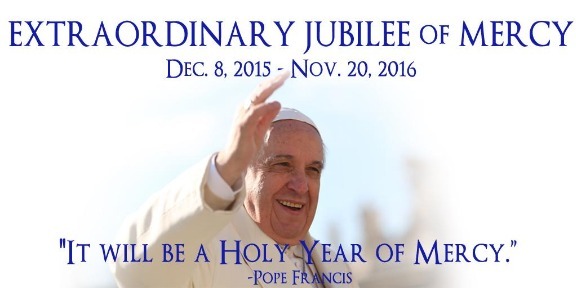 Pope Francis has described the Holy Year of Mercy as an 'extraordinary moment of grace and spiritual renewal'. I pray that anyone who enters through the Holy Doors in our diocese will experience, in a profound way, the love of God who consoles, pardons and instils hope. Jesus is the Door of Mercy. By passing through the Holy Door, we hope to receive His mercy. When Pope Boniface VIII declared the first Holy Year more than seven hundred years ago, he also opened the first ‘Holy Door’ in St Peter’s Basilica, Rome. The Church continues this tradition today. A pilgrimage to the Holy Door symbolises the journey that each of us makes in this life. Life itself is a pilgrimage, and, with the help of God's mercy, we all journey towards our final destination with God in heaven. I invite you to make a special journey during the Year of Mercy to the Holy Doors at Armagh and Drogheda. On arrival, cross the threshold of the Holy Door and complete the ‘Walk of Mercy’. Consider undertaking the spiritual exercises for the indulgence associated with this pilgrimage. We all know ways in which we could be more open to God’s mercy in our lives – perhaps by turning away from selfishness and sinful habits. We also recognise ways of being more merciful towards others - with someone who has hurt us, or with those less fortunate than us who cry out for the love of Christ. By crossing the threshold of the Holy Doors, may we all find the strength to embrace God’s mercy in our own lives as well as becoming more merciful people ourselves. “In this Jubilee Year, let us allow God to surprise us! He never tires of casting open the doors of his heart and of repeating that he loves us and wants to share his love with us... From the heart of the Trinity, from the depths of the mystery of God, the great river of mercy wells up and overflows unceasingly. It is a spring that will never run dry, no matter how many people draw from it. Every time someone is in need, he or she can approach it, because the mercy of God never ends” (Misericordiae Vultus n25). The theme of the Year of Mercy is 'Merciful like the Father' and we are all called upon to show mercy because mercy has, first of all, been shown to us. I encourage everyone to learn about the corporal and spiritual works of mercy and to put these into action in daily life. The corporal works of mercy are: to feed the hungry, give drink to the thirsty, clothe the naked, welcome the stranger, heal the sick, visit the imprisoned, and bury the dead. The spiritual works of mercy are: to counsel the doubtful, instruct the ignorant, admonish sinners, comfort the afflicted, forgive offences, bear patiently those who do us ill, and pray for the living and the dead. The Door of Mercy opens both inwards and outwards. The Year of Mercy challenges us to go out and bring the wonderful invitation to mercy to all God's people. At the recent Synod on the Family, the participants spoke about the importance of ‘accompanying’ those who may have lapsed from practising their faith, and those who may feel excluded from the Church community. We emphasised that the Church must start “from the real life situations of present day families, all in need of mercy, beginning with those who suffer most. With the merciful heart of Jesus, the Church must accompany its more fragile children, marked by a wounded and confused love, restoring their confidence and hope, like the light of a lighthouse in the harbour or a torch borne aloft to enlighten those who have lost their way in the middle of a storm” (Relatio Synodi 2015 n55). Significant moments being planned to mark the Holy Year include: the Feast of the Holy Family, 27 December, on which families are especially welcome to go through our Holy Doors in Armagh and Drogheda; Catholic Schools Week, 31 January – 6 February; the Season of Lent (including 24 hours for the Lord on 4-5 March); St Patrick's Day; the Chrism Mass in the Cathedral on 24 March; Divine Mercy Sunday; School Rosary Crusade in May; Feast of the Sacred Heart celebration of the Works of Mercy on 3 June; July festivals of St Oliver Plunkett and St Brigid; 15 August processions with Mary, Mother of Mercy. Information about the Year of Mercy will be kept up to date on the diocesan website/social media. If parishes organise events to mark the Year of Mercy these can be published on the diocesan website so that the Good News of the Jubilee Year can be made widely known.